Bought an Amazon Echo? Wondering if there is a list of simple voice commands? Here is it. These simple words are a great way to talk to Alexa! 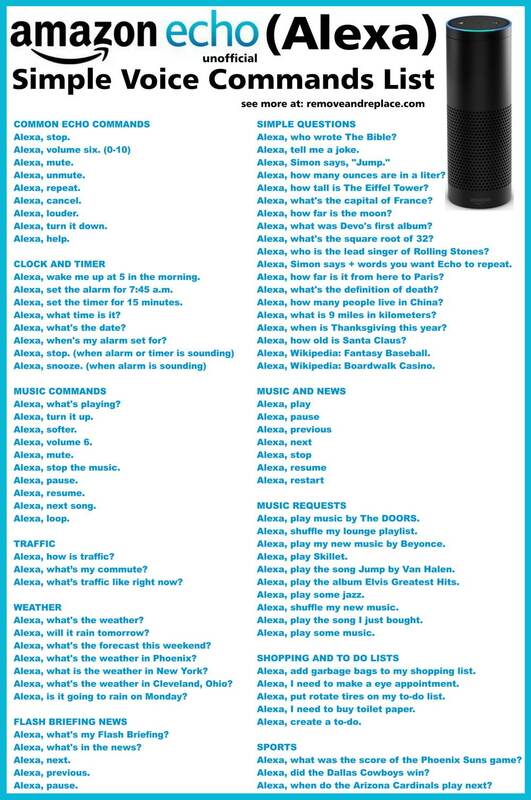 We have ALL the different things to ask or tell Alexa in simple form below. If you have anything you have learned about communicating with Alexa, like Echo hacks, Alexa tips, or Echo tricks, please let us know and we will add it to our list. Wondering how to update Amazon Echo? Alexa checks for updates every single night. 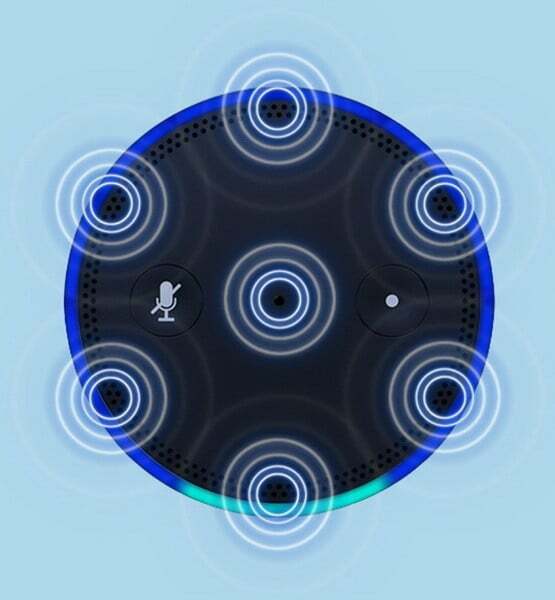 If you want to force ECHO to update, press the mute button and let Alexa sit that way for at least 30 minutes and she will force update. Echo can do date calculations. You can ask Alexa “How many days until December 25th” and she will give you the correct number of days. Did you know? You can paste http://echo.amazon.com into your browser and control Alexa from your computer or laptop! Click the Amazon Echo Voice Commands List Image above to make it larger! Save to your computer or share with others on Pinterest! Haven’t bought an Amazon Echo yet? Purchase one here. Alexa, play music by The DOORS. Alexa, play my new music by Beyonce. Alexa, play the song Jump by Van Halen. Alexa, play the album Elvis Greatest Hits. Alexa, play music by Iggy Pop. Alexa, play The Beach Boys on Prime music. Alexa, play Apologize by One Republic. Alexa, add garbage bags to my shopping list. Alexa, I need to make a eye appointment. Alexa, put rotate tires on my to-do list. Alexa, I need to buy toilet paper. Alexa, what was the score of the Phoenix Suns game? Alexa, did the Dallas Cowboys win? Alexa, when do the Arizona Cardinals play next? Alexa, play a Johnny Cash station from Pandora. How many microphones does Amazon echo have? Alexa, these aren’t the droids you’re looking for. Alexa, one fish, two fish. Alexa, surely you can’t be serious. Alexa, how many angels can dance on the head of a pin? Alexa, elementary, my dear Watson. Alexa, which came first, the chicken or the egg? Alexa, say hello to my little friend! Do you have any tips, easter eggs, tricks, or hacks for the Amazon echo? Please leave a comment below. I wonder if you can activate an emergency alert using the Echo Dot? My brother in law has MND/ALS, his oxygen tube came out and he couldn’t reach his emergency button to alert my Sister who was upstairs. I was thinking if they had a bluetooth speaker upstairs, there must be a way to get attention using the Echo. I have ideas that would work but I’m sure there is a better way. He would only be able to say a couple of words because of running out of breath. I know there are other options but having the Echo Dot work in this way would be a good option too. I did think for example “play SOS” (it plays SOS by Abba) but I just don’t feel it’s an appropriate way to get attention in the circumstances. “Alexa, Play alert” or “Alexa, Play Siren” would be good. Ask Alexa if she is better than siri. She has several responses to What is your favorite color so, you might have to try it several times. How do I change Alexa to Computer so I can live out the fantasy of being in Star Trek? To Star Trek your Alexa and make her work on your computer, simply paste http://echo.amazon.com into your browser and control Alexa from your computer or laptop! I just bought an Amazon echo, i try to tell it to add things to my shopping list but it always says it did not understand my command. Is there something I’m missing or doing wrong? If you are adding something to your shopping list by commanding Echo verbally, (for example napkins) you need to say, “Alexa…. Add Napkins To My Shopping List” OR “Alexa…. Shopping List….. Napkins”. 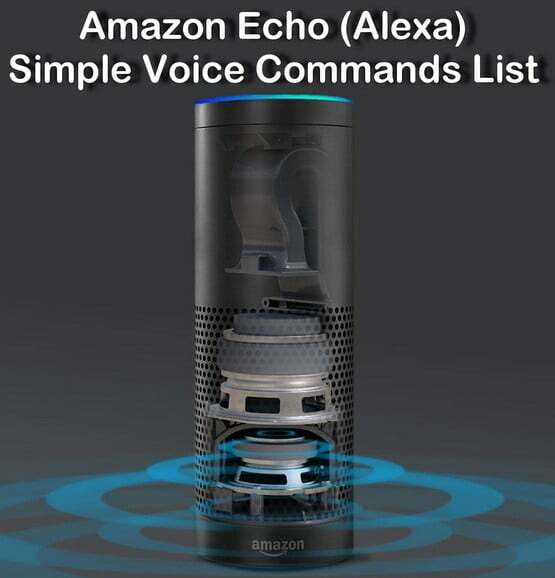 If Alexa does not understand, get the app for your phone or use your computer browser (http://echo.amazon.com) and go to the very bottom of all the settings on the left. You will see “Voice Training”. Click it and let Alexa learn your voice. You can also add anything to your shopping list using the app. Next post: LG Refrigerator Water Filters – How Often To Replace Filter?